Pro poker tips and strategies have never been as plentiful as they are today. You can’t spend more than an hour in the poker corner of the internet without getting information that would be considered advanced poker training back in the 90’s. From poker blogs to poker training websites, we live in an age where learning to play poker like the pros has never been so easy! Sadly, it’s even easier to destroy your win rate by making amateur moves with all the confidence of a pro poker strategist. Luckily, you stumbled upon the best poker coaching site, where you can correct some of that misinformation. Here are 3 critical tips and strategies from World Series of Poker champions Ryan Fee and Doug Polk. This is one of the most common rookie mistakes in poker. Let’s dive right into an example. Imagine you are on the button in a multiway pot with K♦ J♠. You get a promising flop of K♠ T♣ 8♦. You’ve flopped a nice hand, but it’s hard to know if you’re ahead. You want to be sure your opponent’s hands will not make you look like a fool at showdown, so what do you do? One player bets, another calls, and you raise just to see how they will react. You feel like the protagonist in a poker movie, making a play to trick your opponent into giving you more information. Even Mike McD didn’t raise for information, and that was 1998! If your raise gets called, you’ll find yourself in a bloated pot with a hand that is fairly likely to be behind. You have narrowed your opponents’ range to only hands that beat you. If all of your opponents fold to your flop raise – congratulations! You had the best hand and you made all the worse hands fold. These options are both pretty terrible for your K♦ J♠. Maybe you wanted to protect against a draw or “win the pot right now,” but a raise should aim to make worse hands call or better hands fold. This raise for information accomplishes neither. Your opponents’ range of hands stays as wide as possible, making it more likely you are ahead with top pair. The pot stays a size that matches the strength of your hand. You might be wondering “well, what will I do on the turn after calling on the flop?” The answer is simple: play poker. See what your opponent(s) do on the turn, and make the best decision possible based on the information you have. Continuation betting (c-betting) is a powerful play when used correctly. Unfortunately, many players c-bet far too often and spew away money in the process. For example: Suppose you raise with K♠ T♦ from the middle position and get called by the button. The flop is J♠ T♣ 6♥ and you, almost automatically, c-bet. This mistake has a similar negative effect to raising for information: By c-betting your middle pair, you narrow your opponent’s range to (mostly) hands that have you beat. Additionally, if you c-bet hands like middle pair, your checking range becomes unbalanced and exploitable. When you do check, you will almost certainly have nothing or a marginal holding like 8♠ 8♣. Your opponent can easily exploit this by playing aggressively when you check. Let’s go back to the hand. The turn hits, the 2♦, and your hand doesn’t improve at all. Your opponent is still in position with a top pair heavy range, so now what? It’s time to start regretting that flop bet. When learning to play poker, remember that you should be evaluating every unique hand optimally. General blanket statements like “c-bet every hand” are rarely, if ever, correct in poker. Now, Upswing coach Doug Polk takes over with an important lesson when learning to play poker. Am I playing well? If you play good poker, you are on the right track to succeed. If you are not, you will just dig deeper and deeper into a hole. Is the game still good? Some games have such easy competition that you just can’t walk away! And some games are so tough, you can’t leave the table fast enough. Figure out which one you are in. Are you feeling up to the task? Poker is tough, and it will punch you in the gut unexpectedly to teach you a lesson. You won’t always be emotionally or intellectually able to play your A-Game. It’s usually better not to play when that happens. Doug Polk found himself having to ask those same questions in a Friday night live session in Vegas. His answers were ‘‘yes, yes and YES’’ and the result was a 22 hour session, $4,000 in winnings and a story to tell. He didn’t just blindly and stubbornly decided to keep playing, however. He evaluated his spot and decided that he could win. If you can’t win in your current state, remember life is one big session, better to go home and fight another day. And there you have it, three great poker tips and strategies by two great coaches from the best poker coaching site. 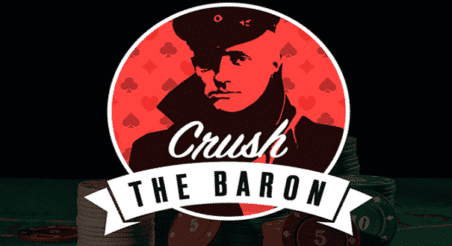 Take our cash game strategy quiz to learn more from our expert coaches.